When the snow begins to fall, you’ll find those living in Portland heading east towards the winter playground of Mount Hood. 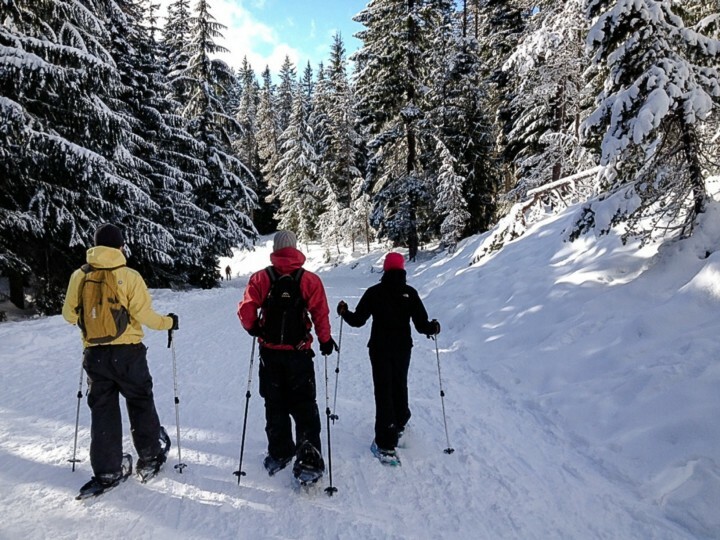 While skiing and snowboarding are often the first to come to mind when having fun in the snow, consider snowshoeing across the region’s numerous backcountry trails. Snowshoeing is trekking through the snow with specially-made footwear designed to prevent a person from sinking into the snow. 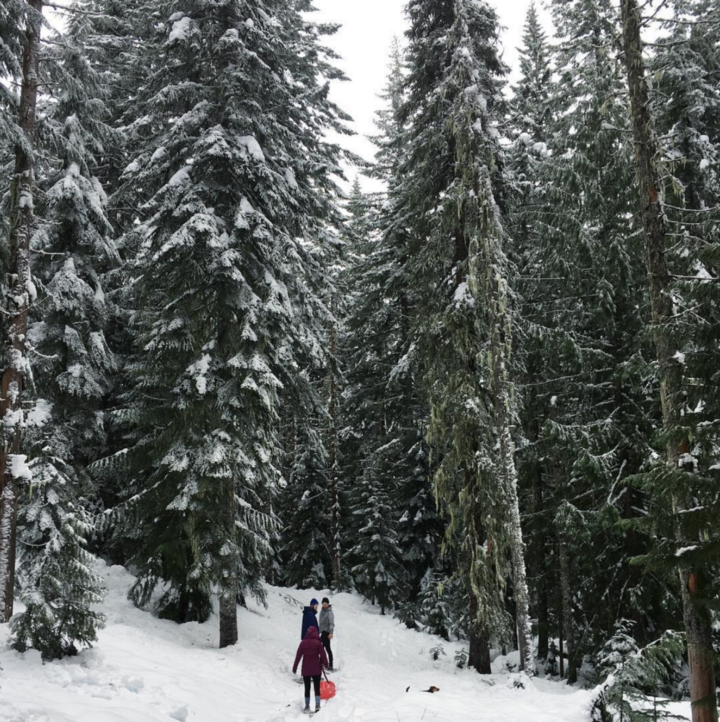 Basically, it’s hiking in winter form, and it serves as one of the best ways to experience the raw beauty of Mount Hood. EASY: Even the most amateur snowshoer will be able to traverse this trail with ease due to a short distance of 1.9 miles and a small elevation gain of 26 feet. You’ll enter a thick forest of Douglas firs, squeeze past a cemetery, and then, eventually, see Trillium Lake itself. 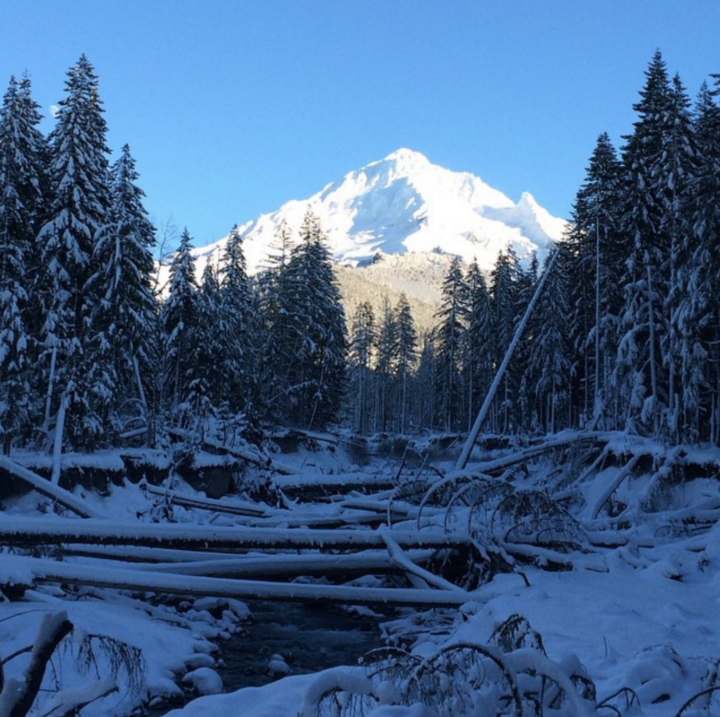 On clear days, you’ll get an extra reward: Mount Hood towering above the trees. MEDIUM: A more strenuous route for first-time snowshoers, the Crosstown Trail has a much longer distance with 5.2 miles of ground to cover. You’ll also trek upwards with 534 feet of elevation to gain. One consolation prize? There’s a bar at the end of the trail. HARD: The most difficult route on our trip will have you gain 1,056 feet of elevation over 6.9 miles. Don’t write it off just yet—it’s also one of the most rewarding—you’ll walk along the Sandy River and discover breathtaking views of Ramona Falls, a cascading waterfall that drops 120 feet. Adjust how you walk and keep your balance by widening your stance and lengthening your stride to prevent your snowshoes from hitting each other. Bring comfortable footwear like rubber-shelled boots and consider wearing thick wool socks—you’ll be standing in them all day. Avoid sweating from the inside by opting for clothes made out of synthetic or wool material.